The beautiful Russian MIR from Sct. 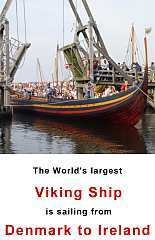 Petersburg are among the ships many hope to see in the Harbour of Aarhus July. Photo: Sail Training International. Sails and everything from the maritime World will dominate Aarhus in the beginning of July 2007. The city has been elected to host the start of Tall Ships Race. 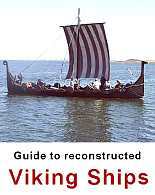 The ships in the Harbour will mainly be Northern European school ships. The ships will stay four days in Aarhus followed by a race around the Baltic Sea. 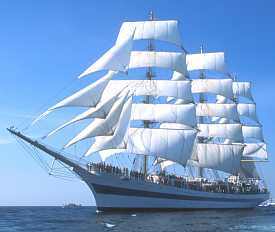 Tall Ships Race is a annual event for big sailing ships. It has been held since 1956. Copenhagen, Frederikshavn, Esbjerg and Aalborg are Danish cities and towns which have been hosting this event several times, but Aarhus hosts it for the first time. 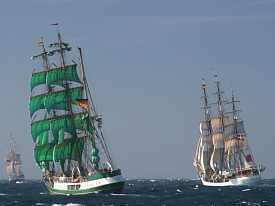 The German ship Alexander von Humboldt (left) and the Danish Danmark. Photo: Sail Training International. The city of Aarhus has put a lot of energy in making this event to be much more than just the start of a race. A city party is planned with concerts in the harbour, theatre, sport and a lot more. Of course the harbour will be in the centre of the activities, but the whole city will be influenced by the event..
After the start in Aarhus the ships continue the race to Kotka in Finland. Here the ships will stay from the 18th - 21st July. Next is Stockholm in Sweden (27th - 30th July). The race finishes in Szczecin in Poland 4th - 7th of August. Simultaneously to the race in the Baltic Sea there is a similar race in the Mediterranean Seas starting in Alicante in South Spain.. Prince Henrik - the Danish prince consort - is protector of Tall Ships' Race in Arhus. 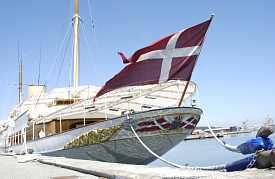 But the royal yacht "Dannebrog" may be moved from the its usual place the "Quay of Honour" in Århus Harbour. The ships are divided in four classes: A, B, C and D. Class A is for the big ships including the Danish Danmark and Georg Stage and several even bigger ships - including the 122 meter long Russian giant Sedov and Cuauhtemor from Mexico. At present 56 ships have announced their arrival to Aarhus Harbour but the ships can register until about two months before the event. So more ships are expected. Next time Tall Ships' Race will show up in Denmark will be in the year of 2010. Here again the ships will be hosted in Aalborg. 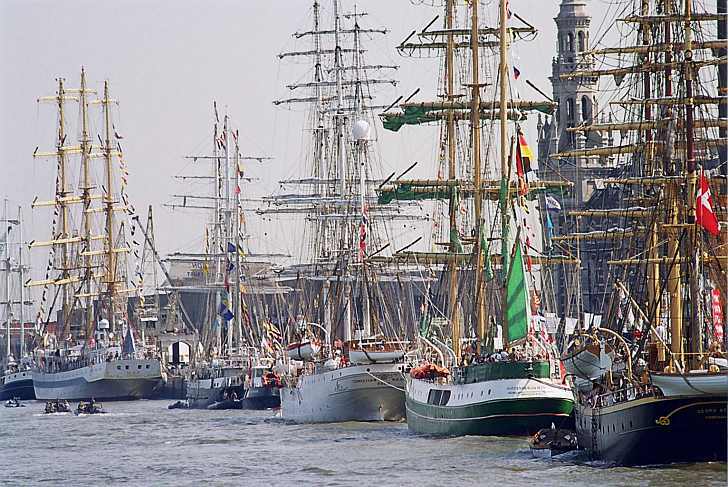 Tall Ships' Races Next 2012 will again include Aarhus. As Aarhus may expect to look like when Tall Ships' Race comes to town. The picture is from a similar event in Antwerp. Far to the right the Danish ship Georg Stage. Photo: Sail Training International.